The provincial government of Bohol is now preparing for another Association of Southeast Asian Nations (ASEAN) meeting which is set to be held in the province this month. The conference will be the third gathering of ASEAN leaders in Bohol this year. According to provincial legal officer and acting provincial administrator John Mitchell Boiser, delegates will be holding a technical working group meeting on the ASEAN’s taxation initiatives on Oct. 23 to 25. The event, like with the two previous ASEAN meetings in Bohol, will be held in Panglao, said Boiser. Officers of the Bohol Provincial Police Office, Armed Forces of the Philippines, Philippine Coast Guard and other law enforcement agencies have already met to discuss security plans for the event. In previous gatherings of foreign delegates in the province earlier this year, government security forces deployed hundreds of personnel to guard meeting locations of delegates and surrounding areas. The province of Bohol, particularly Panglao, has successfully hosted two ASEAN meetings and the 34-nation Asian Cooperation Dialogue this year. The latest ASEAN gathering was held on September 19 to 21. 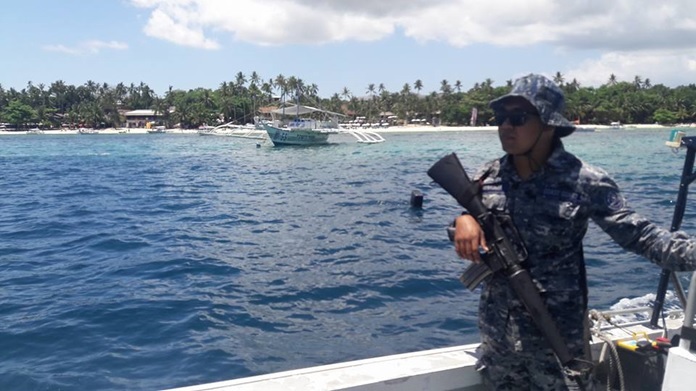 A maritime task force for the conference was formed to enforce no-sail and no-fly zones and to implement heightened security in waters off Panglao. The composite team was comprised of the PCG, Philippine Navy, Philippine National Police Maritime Group and PCG Auxiliary.